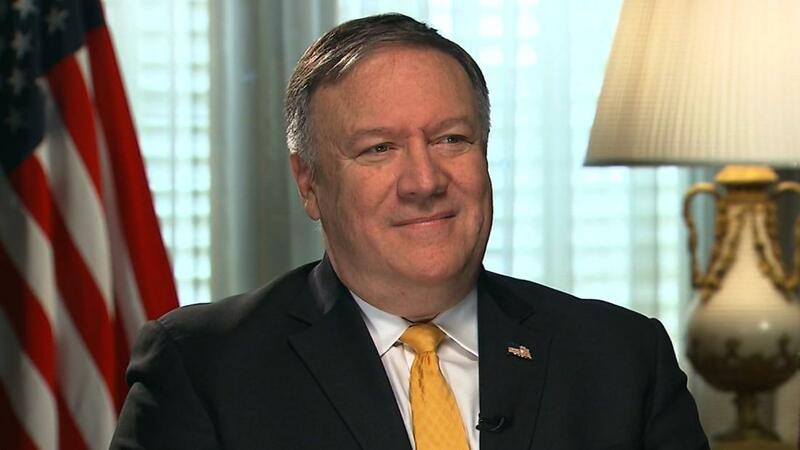 “The President wanted to send a clear, unambiguous message that we find that type of behavior unacceptable, so we canceled the meeting,” Pompeo said. In a maritime clash last weekend, Russian boats seized three Ukrainian ships near Crimea and detained 24 sailors. A court in Russian-controlled Crimea ordered that 12 of those soldiers be detained for two months. Russia’s escalation has been met with international condemnation. Trump’s decision to cancel the meeting with Putin came days after the initial clash and was tweeted from aboard Air Force One on Thursday en route to Argentina. “Based on the fact that the ships and sailors have not been returned to Ukraine from Russia, I have decided it would be best for all parties concerned to cancel my previously scheduled meeting (…) in Argentina with President Vladimir Putin. I look forward to a meaningful Summit again as soon as this situation is resolved!” Trump tweeted en route to the summit. Pompeo vehemently denied that the cancellation was motivated by the news that broke just before their departure that Trump’s longtime lawyer, Michael Cohen, was pleading guilty to misleading Congress about the extent of Trump’s discussions during the presidential election about the proposed Trump Tower project in Moscow. “I was involved in the decision making process, we evaluated it carefully, we considered the opportunity, we considered the message we would send and President Trump made the decision this was the right approach based on the activity that had taken place in the lead up to the G20 summit,” the secretary of state added. Pompeo said Russia must return Ukraine’s vessels and soldiers before the administration would consider a rescheduled Trump-Putin summit.